Join NASVF and EquityNet for a free webinar, How Crowdfunding Can Help Entrepreneurs Raise Capital. The Webinar features EquityNet’s founder and CEO Judd Hollas, who will explain the basics of crowdfunding and how it can benefit the fund raising efforts of entrepreneurs. Topics include: • What is crowdfunding and how did it originate? • When will crowdfunding be fully allowed in the U.S.? • What impacts will crowdfunding have on entrepreneur fund raising efforts? • Crowdfunding success rates, including % funded, amount, and timing? • How to make crowdfunding a market success? EquityNet’s founder and CEO Judd Hollas authored this presentation to aid in discussions of the rapidly emerging crowdfunding market. This slideshow explains the basics of crowdfunding and how it can benefit the fund raising efforts of entrepreneurs. Topics include: • What is crowdfunding and how did it originate? • What impacts will crowdfunding have on entrepreneur fund raising efforts? • Crowdfunding success rates, including % funded, amount, and timing? 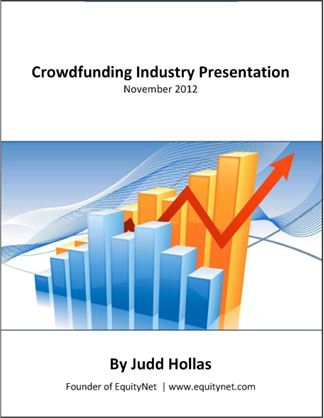 • How to make crowdfunding a market success? Do you want free tips on how to optimize a winning business plan and successfully raise funding for your business? We’re hosting a live online webinar to offer in-depth guidance on business plan optimization and fundraising. 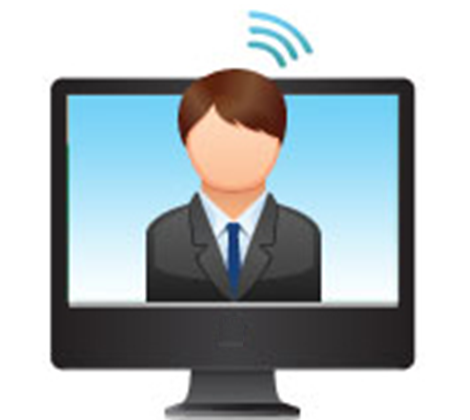 Using EquityNet’s patented web-based software, EquityNet Founder and CEO Judd Hollas will walk you through best practices for planning your business, creating a winning business plan, and raising capital. WHEN: Thursday, December 1st at 2pm ET / 11am PT.